← TMZ: The Time Inc. of Fame Inc. Corporations are fond of saying “Our people make a difference.” Sometimes your people make all the difference to your brand, as Ford has shown through the way it has weathered a painful and highly visible PR crisis. As has been well documented by now, over the weekend, news outlets such as Buzzfeed and Business Insider got wind of offensive advertising mock-ups created to promote the Ford Figo in India. The various mock-ups, depicting women (including caricatures of the Kardashian sisters) bound and gagged in the trunk of a Ford Figo, unleashed a firestorm of criticism. If you’re Ford, what do you do? This is a situation where having the right people to represent your brand makes all the difference. 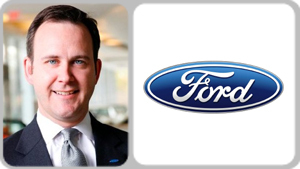 As reported by PR Daily, Ford quickly mobilized a global team over the weekend to address the problem. Facts needed to be gathered — and quickly. A response was required — and post-haste. And the company needed to strike the right tone however it replied. The right people needed to be on board to exercise judgment under tremendous pressure. Here was an especially tricky challenge: Ford needed to tell its side of the story while at the same time not come across like the brand was trying to pooh-pooh the offensive ad mock-ups. As it turns out, Ford did have a story to tell: the brand was really the victim here, not the perpetrator. The ads were created without Ford’s consent by JWT India, a unit of Ford agency WPP. And, contrary to what Buzzfeed reported, the mock-ups were not ads — they were ideas (and obviously bad ones) that JWT India had unwisely posted on a public site. Monty’s own responses on Facebook alone were essential. When crises happen, consumers typically view a company’s brand through the way its executives react. Monty’s own reactions humanized the Ford brand and also reminded everyone that a corporation is not a faceless entity but a collection of people with livelihoods just like you and me. Monty will be the first to tell you that Ford is weathering the storm because of the strength of its own brand, not his. And as he told PR Daily, Ford employees worked behind the scenes to respond to the problem. But especially at a time like this, a corporate brand can benefit greatly from the personal brands of its public facing executives, such as Scott Monty, who act as the face of the brand. As I mentioned on Facebook, Scott Monty is a trusted brand. His reputation for personal integrity is beyond question. So when Scott Monty talks, people do listen — and form impressions of Ford. Who are the people representing your brand? How credible are their personal brands? If you don’t know the answers, it’s time to take stock. This entry was posted in Digital, Marketing, Social media and tagged Business Insider, Buzzfeed, Facebook, Ford, JTW India, Kardashians, Scott Monty, social media, WPP. Bookmark the permalink.